Wyndham began developing the new prototype about 10 months ago. La Quinta also learned from Wyndham after the acquisition. “You truly learn that size does matter, right?” he said. “The resources our franchisees can now tap into by being part of the largest franchise hotel company in the world is tremendous. Cost of OTA commissions has gone down. Now, being part of a company that has best-in-class technology is phenomenal. La Quinta had a hugely successful loyalty program. Now, that successful loyalty will get that much bigger and that much more successful by being part of Wyndham Rewards, which is an industry-leading loyalty program that has 60 million-plus people in it. You learn that size does matter, and the resources the size brings really does help the owners deliver to the bottom line. “What’s important to a franchisee is that they have a relationship with a franchisor who really does care about their revenue, that cares about what’s happening in their individual marketplace and has the opportunity and accessibility to head leadership of that company,” Wilner said. 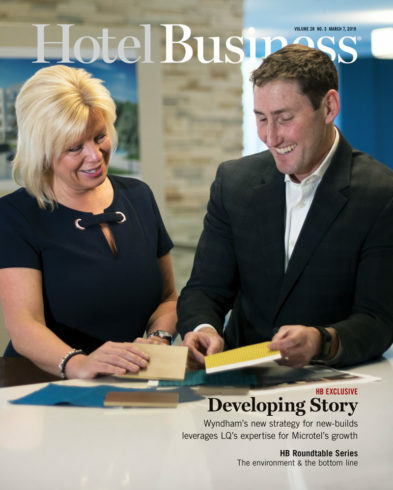 Leveraging La Quinta’s expertise in new-construction, Wyndham turned to its prototypical, all new-construction brand—Microtel. “It was just a natural progression for us to look at Microtel and prioritize this added opportunity for us to grow it very similar to what we’ve done with La Quinta,” he said. Geographically, the biggest opportunity to grow the Microtel brand in key markets is distribution throughout the Midwestern United States and Canada. Even though Wyndham has parted ways with an unknown number of Microtel properties not meeting brand standards over the years, the brand has grown. Wyndham purchased the economy brand from Hyatt Hotels Corporation in June 2008. At the time of the deal, the brand had around 290 hotel properties. The previous prototype (shown here) included a gabled roof and bump-outs. Eliminating those will realize cost savings for owners. Arguably, the economy hotel brand’s focus on providing guests quality has paid off over the years. Microtel ranked number one 15 out of 17 times in guest satisfaction in the American-based global marketing information services company J.D. Power’s North America Hotel Guest Satisfaction Index (NAGSI) Study. 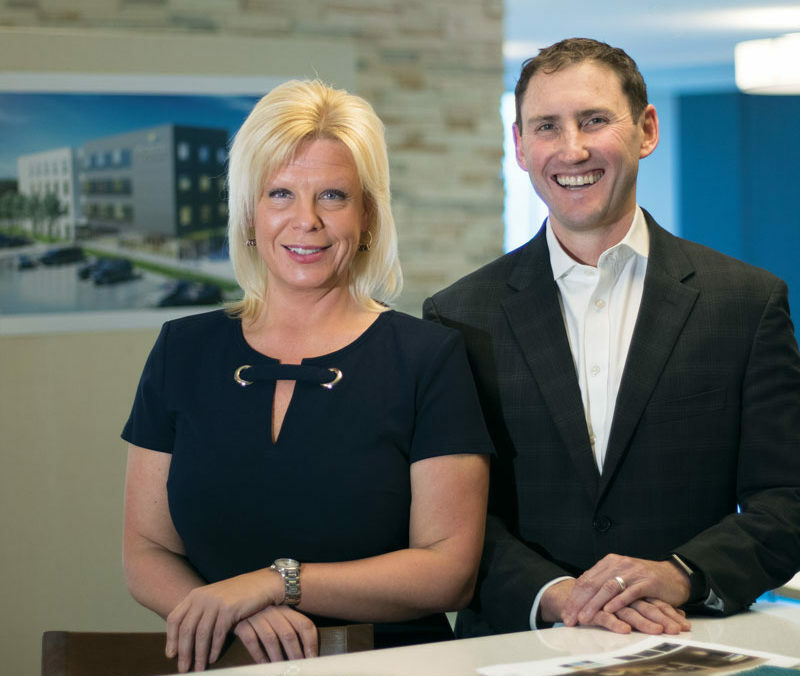 Microtel’s executive attributes the brand’s success to the pride in ownership Microtel’s owners typically feel after building properties from the ground up; there’s a connection with the hotel. The 30-year-old economy brand took its values and applied them to the new Microtel prototype. Wyndham began developing the new Microtel prototype about 10 months ago. “Our goal as we developed a new prototype was to take what we’ve done very well in the past and optimize it,” Putera said. For feedback, the brand tapped into its franchise advisory council, but Microtel’s team isn’t stopping there. The group is expected to be made up of 12-14 developers across the industry. “We really want to understand what is important to the developer and what is important to the operator,” Wilner said. “They are the tip of the spear, and we learn more from our franchisees on a daily basis than we can ever pretend to understand from sitting in a boardroom.” The goal is to launch the group in March. Wyndham hired Dallas-based architect Hoefer Wysocki to design the prototype. This particular firm was chosen because it delivered the highest-quality prototype design proposal at the best competitive value. Wyndham’s teams also felt the firm demonstrated the strong understanding of the brand’s needs. 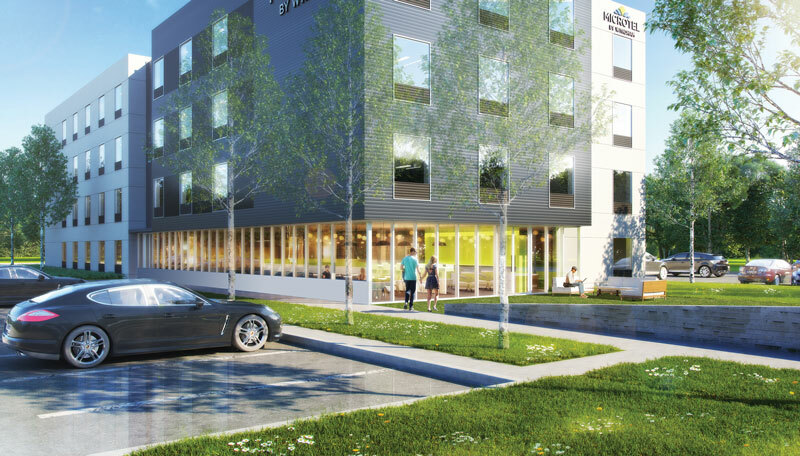 The Microtel prototype is the first project Hoefer Wysocki has designed for Wyndham. 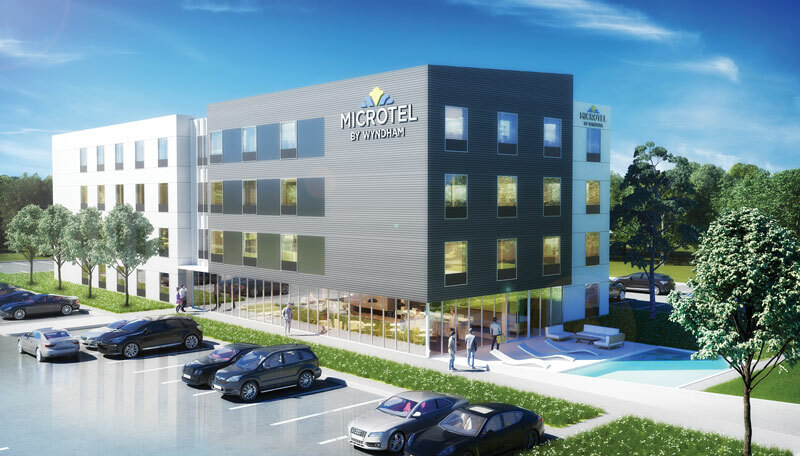 With its gabled roof, and bump-outs and cuts in and out of the building, the current Microtel prototype looks a bit residential, which “worked really, really well for us for years,” Putera said. While the brand is designed to provide owners with an option for an economy-priced property from a development standpoint, it delivers midscale returns and profits to owners, the brand’s executive said. “It’s the perfect time to take the Microtel brand and create a modern prototype that looks, feels and delivers on that midscale experience that our owners are experiencing and giving that to our guests,” she said. The goal with the new prototype is to make it more efficient, reduce costs for developers, and modernize the look and feel of the brand. “We flattened the roofline,” Putera said. “One of the things on Microtel, and I just find this so interesting, is if you look at a current Microtel, you cut in and out of the building somewhere near 130 times. That, obviously, is a huge cost.” To mitigate these additional construction costs “dramatically,” the new prototype reduces the need to cut in and out of the building. Wyndham also made changes to the Microtel lobby. “We have found more efficient ways to put the front desk right with back of the house, so your front desk person, checking people in, can also be folding laundry when it’s not busy,” she said. Wyndham is going out to market with a holistic approach for Microtel, which includes the new prototype and guestroom, the new-construction sales team, and the developer council—all of which are designed to incentivize developers to build more Microtels (which take about a year to build). “We are really taking a strategic approach to growing the brand—not an opportunistic approach—to ensure we’re doing locations with the right owners who can maintain the high-quality standards that guests expect with Microtel,” Wilner said. By focusing on the right owners in the right locations, Wyndham expects to “really position owners for a great long-term success,” he said. The goal is to position them for success from the day they sign. “The way that we treat owners who are investing in this brand—we view them, in large part, not just as our owners or our partners but even beyond that, our employers,” Wilner said. Dallas-based Hoefer Wysocki designed the prototype. When a franchisee is awarded a location, Wyndham views the partnership as a long-term relationship. “The relationship is hugely, hugely important,” he said. For the hospitality company, the right owner is aligned with the “true value proposition of what the brand brings and a commitment to doing what’s right for the guest and that brand,” Wilner said. Wyndham doesn’t take the relationship it has with its owners lightly; the company is entrusting its owners with the brand’s identity. Aligning the brand with the right partners has never been more important. “We’re starting to see the next generation of owners coming to the Microtel brand,” Putera said. “What’s really exciting when I go out and visit these hotels—I probably have visited 150 Microtels in the past 10 months—it’s the next generation of owners who’s taking over and seeing the need for increased technology, more available outlets and enhancing breakfasts; it’s just that next generation understanding the need of the customer in terms of really embracing that new guest that’s coming in.” As the brand’s owners are changing, so are the guests. With the new prototype, Microtel is targeting millennials. “It’s the millennials who are going to be traveling more and going to be a huge part of our audience and our guest segment over the next few years,” Putera said. Stereotypically, millennials often go for a minimalist experience when they’re traveling. This is why Wyndham believes the Microtel brand can position itself as a midscale product to guests. 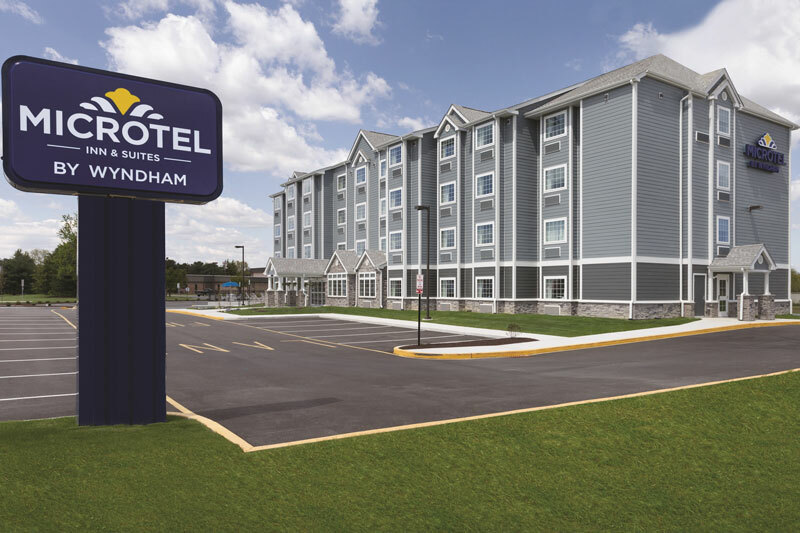 As for when the industry can expect to see a Microtel property with the new prototype opening, Wyndham is busy getting the paperwork in order. “We are working on a few executed deals right now, where our design and construction team is definitely working through providing them all the elements they need from a land perspective and laying out the architectural side,” Putera said. The hospitality company is sifting through initial feedback, sketches and final designs.